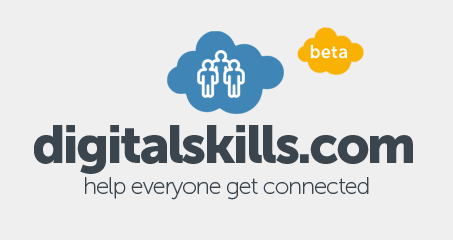 We’ve recently established a Digital Inclusion Charter Signatories group on digitaskills.com. The website was created by Go ON UK, the UK’s digital skills alliance, to provide a platform for asking questions, accessing resources for digital skills, and includes an interactive map that is starting to collect information about wifi spots, organisations, projects and more. Our charter signatories group is a space for members to share. We want our partners to share updates, questions (and hopefully answers), best practice and start adding the wide range of digital inclusion activity taking place into the interactive map. All of this will help us get closer to delivering the commitments in our charter. We hope that the group will provide a forum to build existing relationships further and we would like to encourage all our partners to sign up to the group now and start sharing! To help track the digital inclusion activity our partners are currently carrying out (and there’s a lot!) we are encouraging them to add it to the digitalskills.com interactive map. This will help people find out about support in their local areas - whether they are interested in volunteer support to help them out, looking for WiFi access or need to point a friend or family member towards some support. Using the digitalskills.com interactive map should provide a simpler way of using an existing tool to track digital inclusion activity than producing a separate cumbersome spreadsheet. Go ON are always looking at improvements to the website so if you have any thoughts or suggestions, please get in touch.